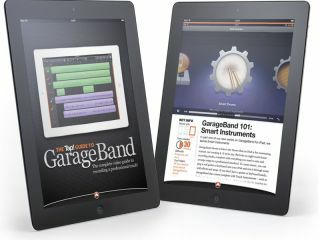 GarageBand for iPhone and iPad offers music-creation tools for everyone - whether you're just starting out or are an experienced musician - but like all software, it can take a bit of getting used to. Happily, our friends at Tap! magazine have put together a complete video guide for GarageBand, taking you through using its software instruments, connecting your own real instruments, mixing songs and exporting to share with the world (or just work on some more yourself). It takes you through the complete process of making a track in easy-to-follow steps, with a video for each one showing you exactly what to do. You'll be able to play instruments and lay down tracks anywhere - at home, in rehearsals or even on the Tube! By the end of the video guide, you'll be able to make the most of having it as a portable music tool. Just visit http://tapm.ag/appedition to download Tap! 's free app, then download the guide for free inside it.